A crofter who featured in a television documentary and lost a damages claim against Highland Council after he tripped on a paving slab has had his appeal rejected. Iain Pocock was walking down Baron Taylor Street in Inverness when he caught a foot on the raised edge of a slab and fell with his left leg giving way, leaving him in excruciating pain. He claimed that the injury restricted his ability to carry out tasks at the family croft at Cougie, near Tomich in Inverness-shire, where he and wife Sasha led a self-sufficient life. He raised an action at the Court of Session in Edinburgh against Highland Council, suing for £500,000 compensation following the injury he sustained on February 9, 2012. 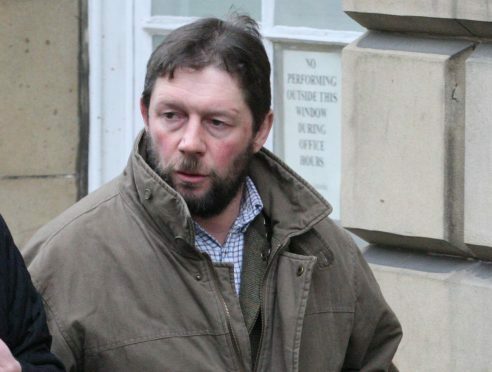 But the local authority, which denied liability, said that during 2012 and 2013, Mr Pocock and his family were the subject of a documentary Power to the Pococks: A year in the life of a crofting family. Various parts of the documentary were played during the action. Lord Clark referred to excerpts which showed Mr Pocock carrying out activities such as using an axe and a chainsaw to cut firewood, carrying out maintenance of a wind turbine by climbing up a metal scaffold, kneeling while milking, sliding on ice and “spinning round a pole in a barn”. Lord Clark acknowledged evidence that said filming did not take place during periods which the pursuer was in pain. It was agreed in court that there was a duty by the council to repair a paving defect with a height difference greater than 20mm within seven days, or at most within 21 days. But the judge concluded that Mr Pocock had failed to establish the key factual basis of this case – that the defect in the paving slab at its date of identification involved a height difference greater than 20mm.